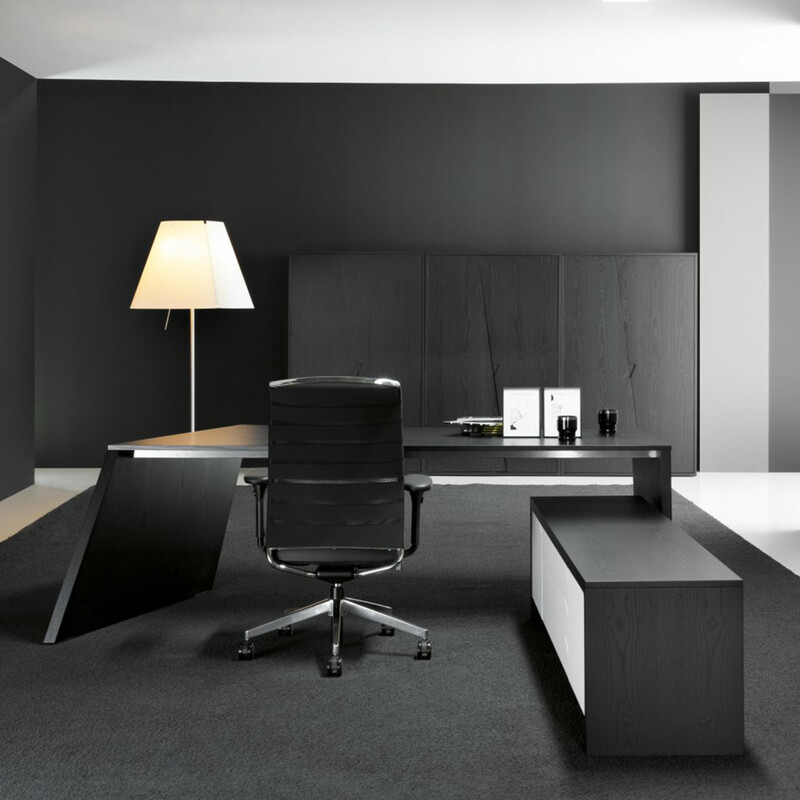 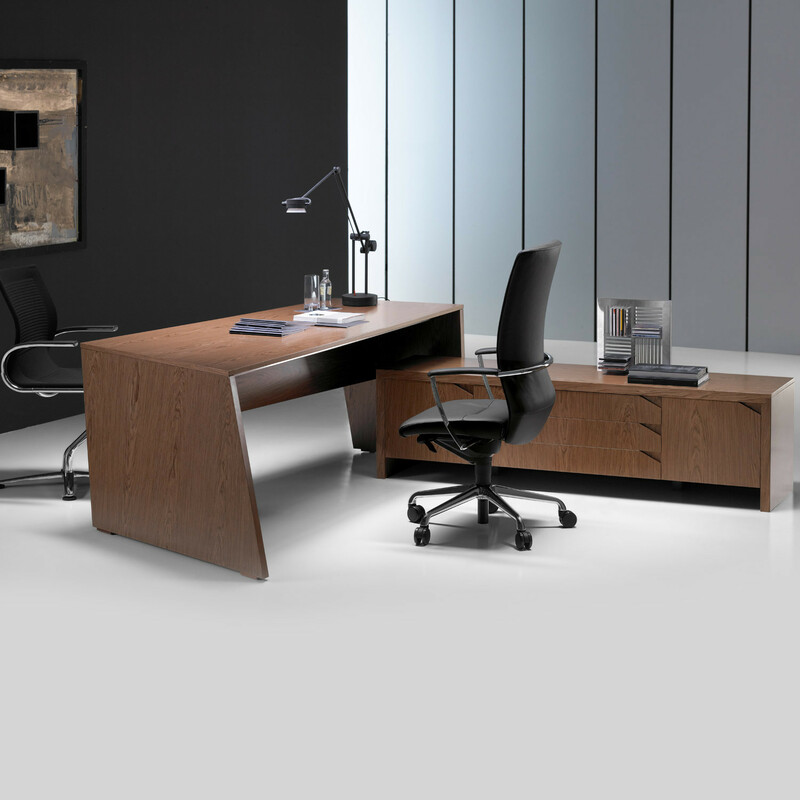 Origami Desk System designed by Paolo Favaretto and Nicola Zocca offer a complete executive furniture solution, ranging from management desks with or without returns as well as storage units (pedestals, credence and cabinets). 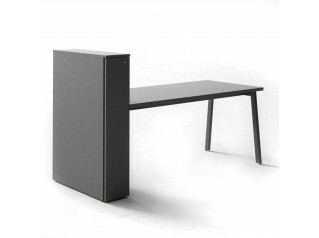 Origami furniture system is ideally suited to the contemporary office and, as the designer explaines, "is a trapezoidal set of two tables (desk and extension) obtained by folding the two outer wings which, when viewed from different angles, remind us of the Japanese paper figures". 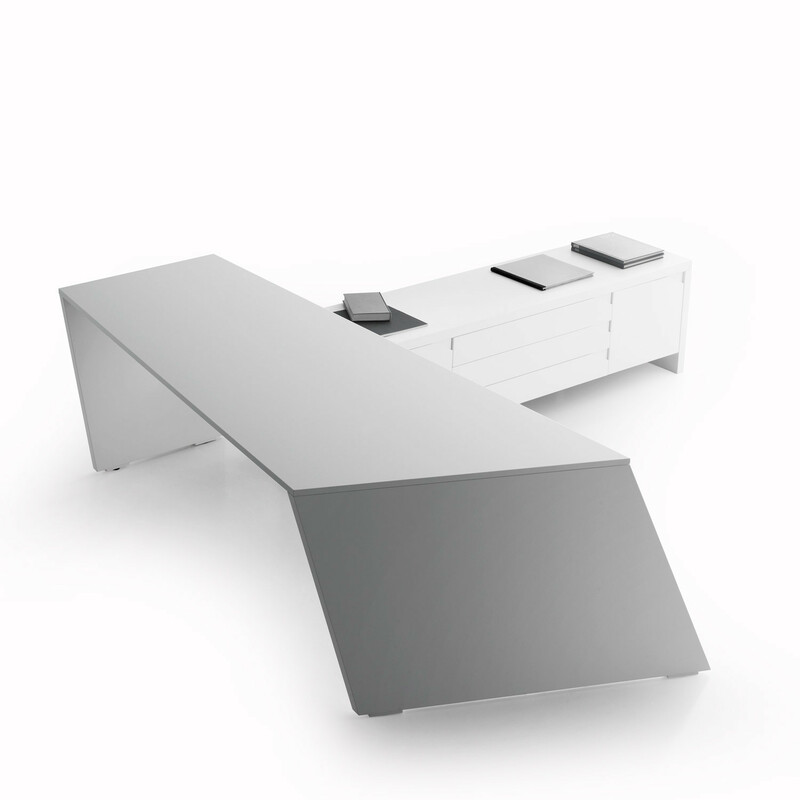 The Origami furniture series can be completed with different types of drawers and cabinets, and shelves and lockers at different heights. 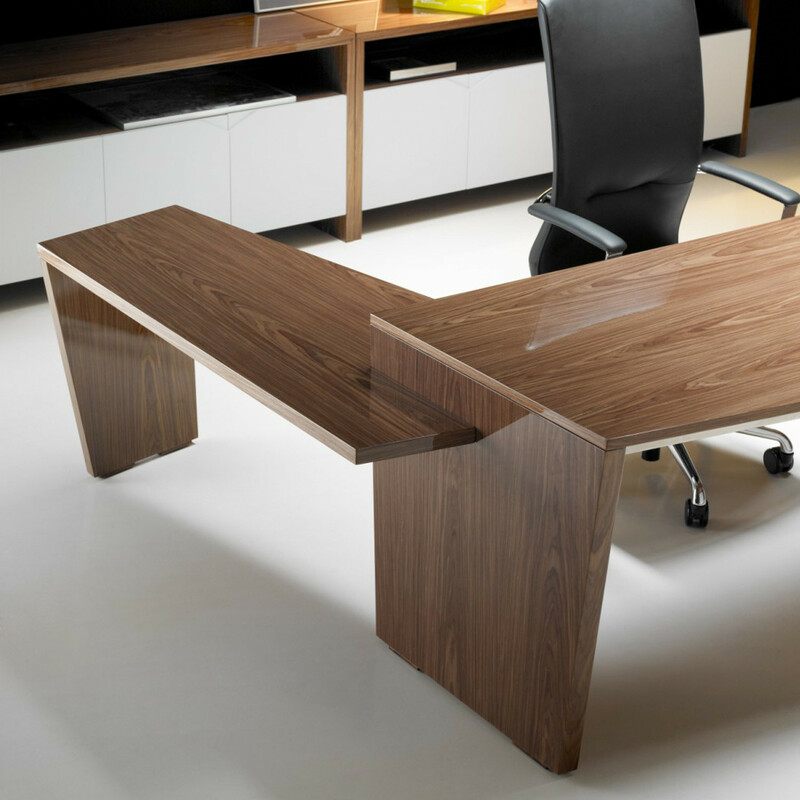 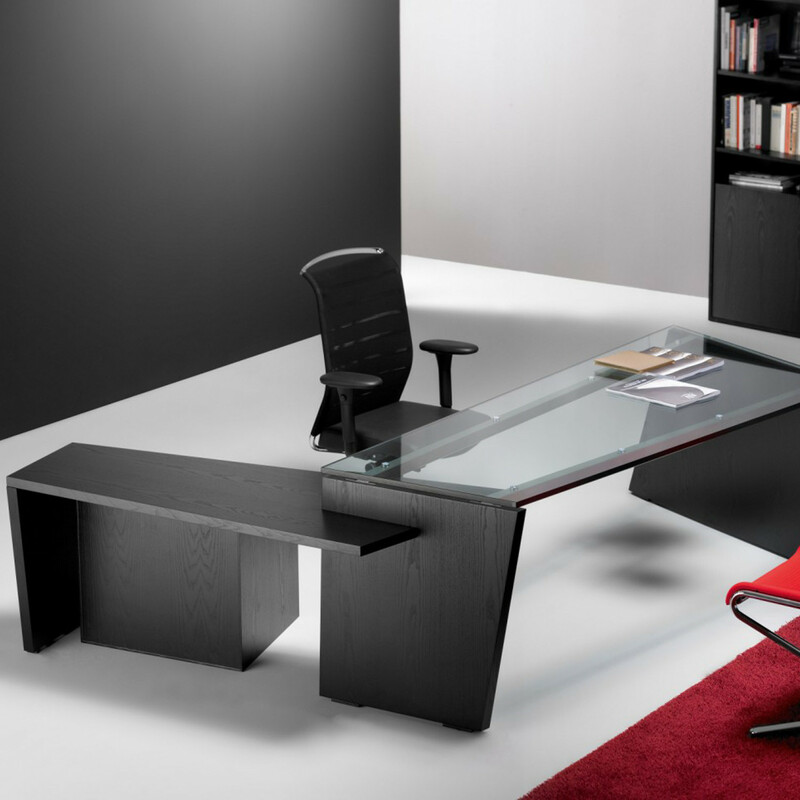 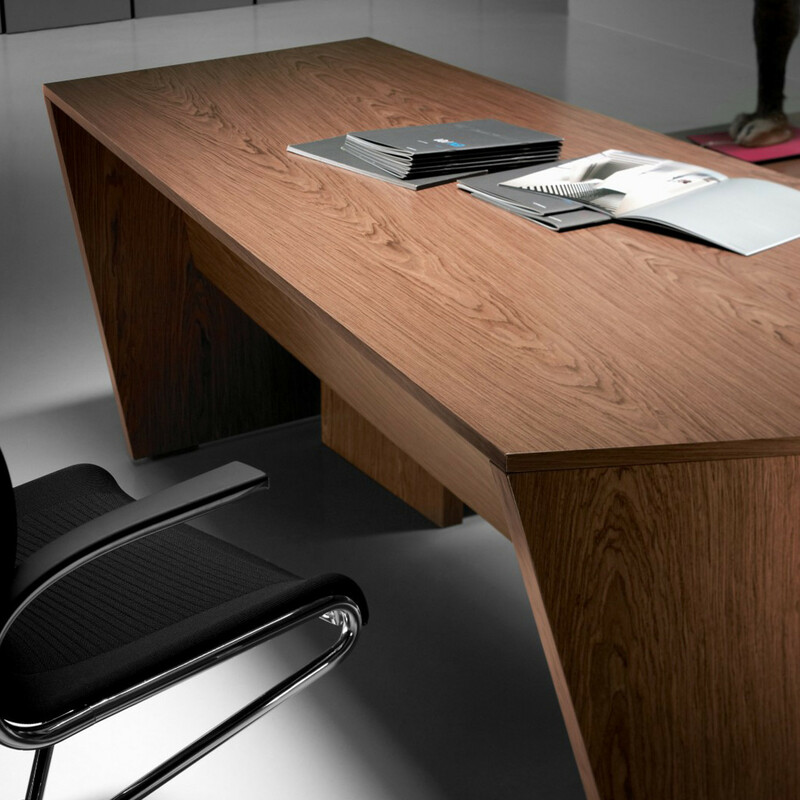 Also available are large meeting tables, elegant and suitable in executive spaces. 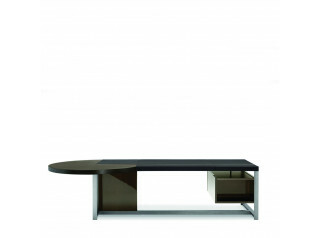 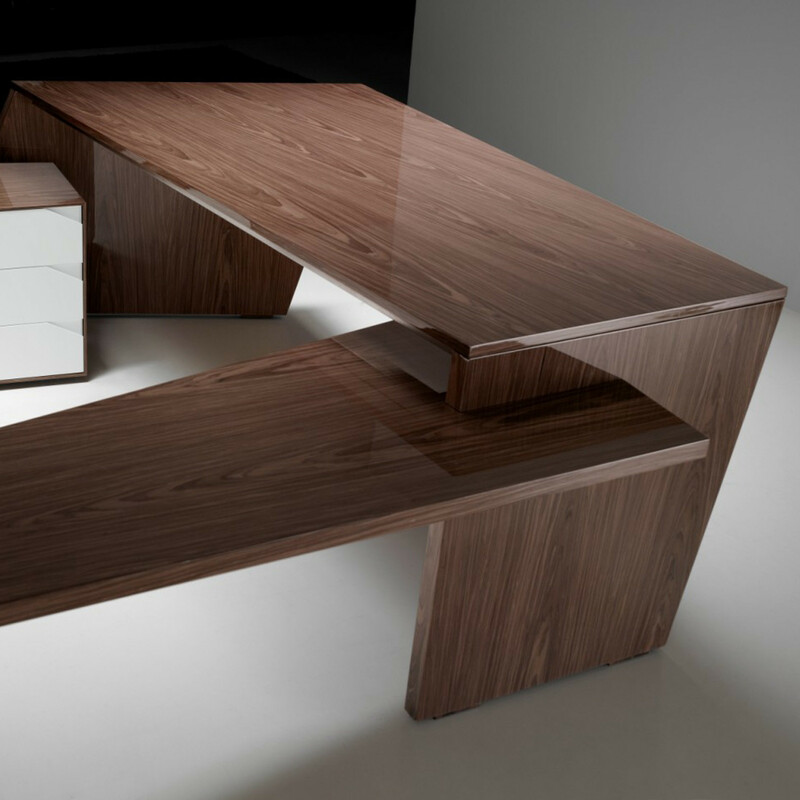 Origami is available in Black Ash Veneer, Poliester walnut, Natural walnut. 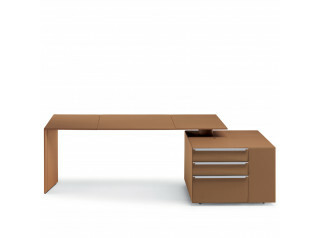 You are requesting a price for the "Origami Desk System"
To create a new project and add "Origami Desk System" to it please click the button below. 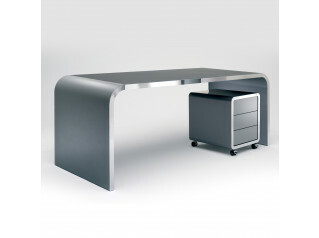 To add "Origami Desk System" to an existing project please select below.